The company will conduct two new trials of Business Fibre-to-the-Premises (FTTP) technology in Bradford – providing ultrafast speeds of up to 1Gbps in the city’s Kirkgate High Street and Listerhills Science Park. Openreach will also build on trials of ultrafast ‘G.fast’ technology with new pilot sites in Cambridgeshire and Kent. It is also committing to build FTTP infrastructure into new housing developments in the UK that have more than 250 premises, free of charge[i]. Clive Selley, CEO of Openreach, said: “The UK is a leader when it comes to superfast broadband. Nine out of ten premises have access to fibre today and this will grow to 95 per cent by the end of next year – but I want to get high speeds to everyone, so we’re also developing solutions for the final five per cent of the country. “I’m determined to roll out ultrafast broadband, and G.fast technology is the best way to deliver that to the majority of the UK as quickly as possible. We also plan to roll out significantly more fibre-to-the-premises, and we’re trialling a range of options in Bradford to use that technology increasingly in future – wherever it makes sense. Openreach has built the largest superfast network in the UK covering well over 24 million premises. It is now going to deliver much faster, or ‘ultrafast’, speeds using a mixture of FTTP and G.fast technologies, while continuing to fill the gaps in superfast broadband coverage. Openreach has the largest FTTP network in the UK – covering mainly apartment blocks and communities covered by the Broadband Delivery UK (BDUK) programme, which BT is co-funding with government. It will now begin new trials in Bradford to explore if the technology can be installed faster and more efficiently in business parks and high streets. Work has already started on the network, and the first businesses are expected to be connected in late Spring. Although every business in the UK already has access to ultrafast speeds via dedicated lines or ‘Ethernet’, the results of the Bradford trials – and feedback from industry - could lead to a new business-grade FTTP product being developed for SMEs with speeds of up to 1Gbps and strong service guarantees. Having already committed to delivering ultrafast broadband to 10 million premises by 2020 and to the majority of the UK within a decade (subject to a supportive regulatory environment) Openreach is also building on its G.fast technology trials with two new pilot sites in Cherry Hinton, Cambridgeshire and Gillingham, Kent. Work on the pilots will begin soon. Once the infrastructure has been built, 25,000 homes and businesses in these areas will be able to access download speeds of up 330Mbps using G.fast from their nearest street cabinet. Having recently pledged to connect all new housing developments in the UK with fibre, Openreach today offered to build ultrafast FTTP infrastructure for freei to new sites containing 250 premises or more – with a joint funding option available to smaller developments. Fibre broadband from Openreach - with speeds of up to 80Mbps – is currently available to well over 24 million premises using Fibre-to-the-Cabinet (FTTC) technology. The roll out of that technology continues, and it is helping the UK to consistently outperform the rest of the EU ‘big five’ on measures such as availability, speeds and take-up according to Ofcom[ii]. [i]Construction of Fibre to the Premises infrastructure (the ducting, poles and wires) will be carried out for free on developments of more than 250 premises. Standard connection and ongoing service provider charges will apply and excess construction charges will continue to apply where the site is more than 4.5 kilometres from Openreach’s existing fibre network. The International Telecommunication Union's (ITU) global ICT Development Index 2015 ranks the UK 4th out of 167 countries on telecoms/broadband access - assessing various levels of information and communication technology access, use and skills. Openreach is responsible for the last mile of the UK access network – the copper wires and fibre connecting homes and businesses to their local telephone exchanges. Openreach provides communications providers with services and products associated with that network. BT’s purpose is to use the power of communications to make a better world. It is one of the world’s leading providers of communications services and solutions, serving customers in more than 170 countries. Its principal activities include the provision of networked IT services globally; local, national and international telecommunications services to its customers for use at home, at work and on the move; broadband, TV and internet products and services; and converged fixed-mobile products and services. 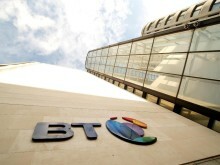 Following the acquisition of EE on 29 January 2016, BT consists principally of six customer-facing lines of business: BT Global Services, BT Business, BT Consumer, EE, BT Wholesale and Openreach.